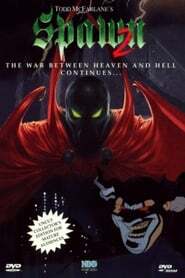 Upon his return to "life", Spawn seeks out Wanda, who had apparently got over the grief of having lost Al and married another man, Al's best friend Terry Fitzgerald with whom she seemingly had a daughter, Cyan. Terry, a respectable man, works for a man named Jason Wynn. Wynn is a black-market arms dealer, amongst other things (such as the head of certain government organizations, one of which dispatched Al and his team to Vietnam), and is revealed to be the man responsible for the death of Al Simmons due to a disagreement the two had between each other. Jason's actions would also prove dangerous to the lives of Terry, Wanda and their daughter as well. Realizing that he is no longer the man in Wanda's life, Al swears to protect her and her new family.